It is not hard to make the case for switching over to a form of self directed IRA known as a Precious Metals IRA which will allow you to include gold and other precious metals within the account. Anyone who is concerned about the instability in today's American and global financial systems or ongoing economic uncertainties in the U.S., European, and world economies is wise to consider acting on their fears. Long time former Federal Reserve Chairman Alan Greenspan stated that “Gold is a good place to put money these days given its value as a currency outside of the policies conducted by governments.” That says all you need to know about the wisdom of moving your retirement assets over from a traditional IRA to one of these precious metals IRA accounts. The difficulty in trying to add precious metals to your existing traditional IRA is that most conventional plans do not permit diversifying into physical gold, silver, platinum, or palladium simply because of the particular requirements that come along with such ownership of the precious metals. These include long term storage, custodial responsibilities, insurance, and safeguarding of the metals. Usually you will find that if you wish to purchase and inventory precious metals physically within your retirement accounts in the form of coins and bars bullion, you will have to set up a new type of account with a trustee who specifically handles these self directed retirement vehicles. Once you have done this, you will have two choices as to how to move your funds from the present trustee to the newer trustee which will permit such physical precious metals purchases. 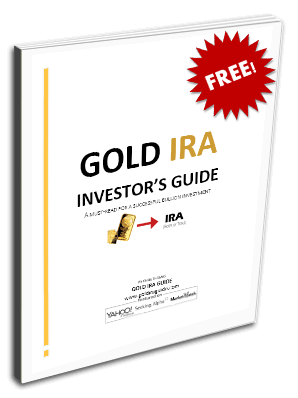 The easiest way to understand a gold IRA rollover is to think of it as an automatic transfer from your old IRA administrator to your new one. You simply fund the new self directed IRA account by rolling over, or transferring, the money out of your current retirement plan or traditional IRA account into the new one. Your financial institution or existing IRA account administrator will simply initiate an electronic transfer of your current funds and/or assets over to the administrator of the new IRA plan. The current laws within the United States permit you to transfer from old IRAs along with any other type of qualified retirement plan like a 401k, 401a, 403b, 457, TSP Thrift Savings Plan, or annuities. You are only able to avail yourself to such a Rollover of your IRA account one time per year. Proceeding by this method is simple and straightforward. You simply pick out the trust company with which you wish to work and then start filling in their paperwork. You submit this either by email, fax, courier, or U.S. mail to the new IRA administrator firm. They will then take the proverbial ball on opening your new account and obtaining the funds from the old account directly with the other trustee custodian administrator. This normally only requires around two weeks or even less for the funds to be successfully moved over from your current administrator to your new custodian. Once the funds are confirmed received and credited by your new IRA account plan administrator, you are ready to have that conversation with them where you direct them as to which specific precious metals and coins you wish them to purchase from the available precious metals complex of gold, silver, platinum, and palladium. The other principle way of moving your funds over to the new IRA account custodian is by manually transferring the funds directly yourself. This is known by the Internal Revenue Service and described as such on their official website as a 60-Day rollover. It begins when you receive the funds distribution from either your old IRA or previous retirement plan paid to you directly via a check. At this point, you will have to deposit it on into the new self directed IRA firm's bank account in 60 days or less. The clock starts ticking from the day you actually receive the distribution. There are certain specific cases where the IRS may be willing to waive this otherwise strict 60-day rollover limitation in the cases where you missed the critical deadline because of a scenario that was outside of your control. You could simply qualify for an automatic waiver. You might self certify that you meet all the requirements for a waiver. The IRS will then verify this by auditing your income tax return to be sure you do qualify for such a waiver. You can ask for and obtain a private letter ruling that grants you a waiver. This requires payment of a $10,000 application fee. The funds do not get deposited properly into your account at the new IRA custodian within the 60 day deadline simply because there is an error at the bank. You did in fact make sure the funds were received by the financial institution for the account on your behalf before the 60 day rollover time limit expired. You must have correctly followed all relevant procedures which the bank set for properly depositing said funds into the IRA account on time. The rollover would have been done on time and correctly if the bank had properly credited the funds to the appropriate account as you instructed them to do. The funds do become deposited into the IRA in a year or less from the start of the 60 day period. Should you not successfully complete the transfer to the new IRA account in time, or otherwise obtain a waiver for missing the 60 day deadline, then you will be penalized financially in two ways. The funds will become fully taxable (unless they were taken out of a Roth IRA and were previously taxed). Secondly, you will be subjected to the 10 percent penalty for an early distribution which is unauthorized. There are some potential significant tax implications to consider when you choose to do a transfer instead of an automatic rollover. When you are personally directly receiving a distribution from either the old traditional IRA or another form of qualified retirement plan, the estimated taxes due will be withheld along with the 10 percent penalty for an early distribution as appropriate. This means that if these funds are not supposed to be taxed and penalized as they would not be when you complete the 60-day rollover process on time, then you will have to utilize other funds in order to complete the full distribution transfer yourself. Naturally, the differences that you fronted would later be reconciled to you on your yearly tax return, at which point you would either receive a tax refund or credit against other taxes that you owed. The easiest way to avoid these complications is to simply have your new IRA account administrator handle the rollover automatically on your behalf with the old IRA account administrator. This will save you potentially a great amount of expense and heartache.